Photo by Toni Frissell, 1940 via Pretty Odd Wonders. As the book comes together I have become thoroughly obsessed with fashion and war photographer Toni Frissell. How incredible is this image? Color photos from the 1940s-1960s seem to have this invisible magical layer that really gets me. That's a might long jib boom. The boat must be pretty massive. They’re the ones I call “traces”, “remnants”, or “shadows” of the past. 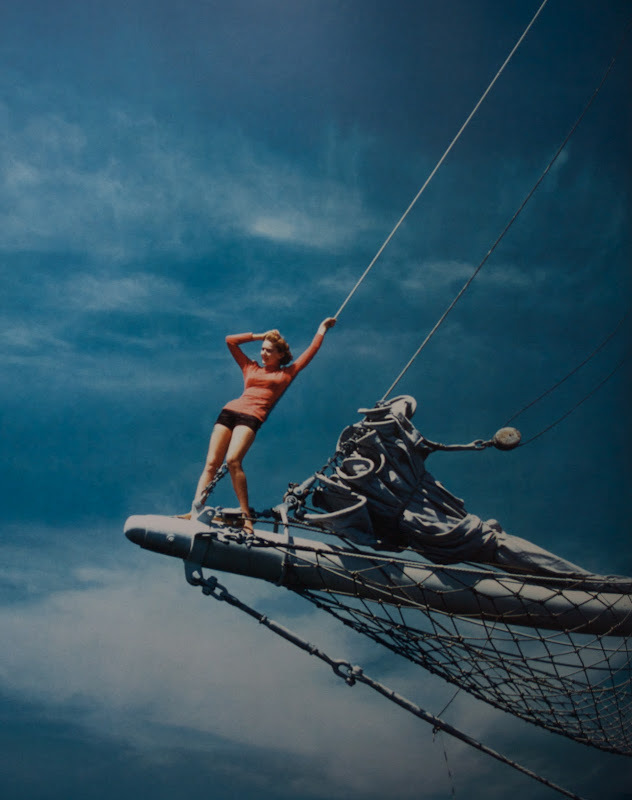 It’s as if ghosts become frozen in these older images...and in this case, the ghost is a moment in time when a good-lookin’ short-shorts wearin’ babe from the 40s climbed atop a jib boom. Part of the magic is that she'll be there forever.